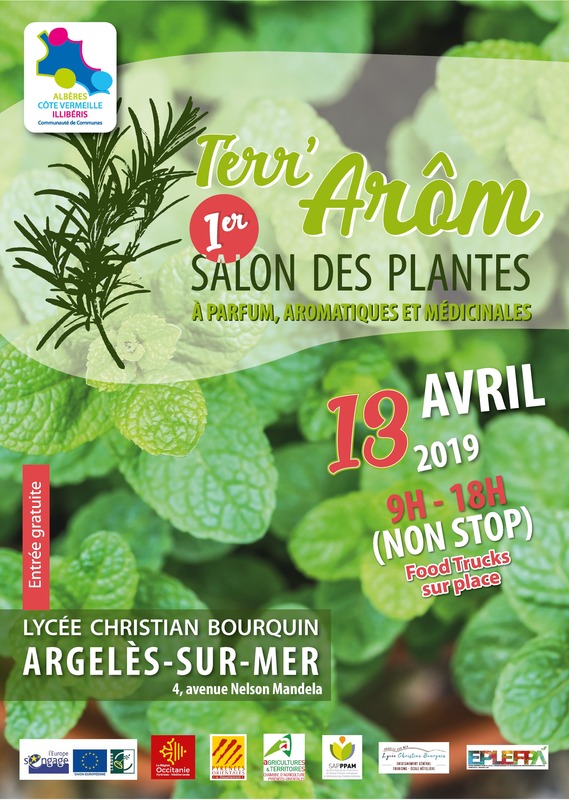 Terr’Arôme is first exhibition of perfumed, aromatic and medicinal plants (PPAM) in our region. It will take place on the 12th and 13th of April at the Christian-Bourquin high school in Argelès-sur-Mer. This is an exciting opportunity to discover a rapidly expanding sector. It aims to promote the growth, sale and use of PPAM as part of the region’s terroir production and as part of wider organic and sustainable agriculture. On Friday 12th April over 100 students from the colleges of Elne, Port Vendres, Saint André and Argelès-sur-Mer will be able to meet with professionals in the sector. They will take part in ten thematic workshops, covering essential oils, cosmetics, phytotherapy, plant tasting and more. 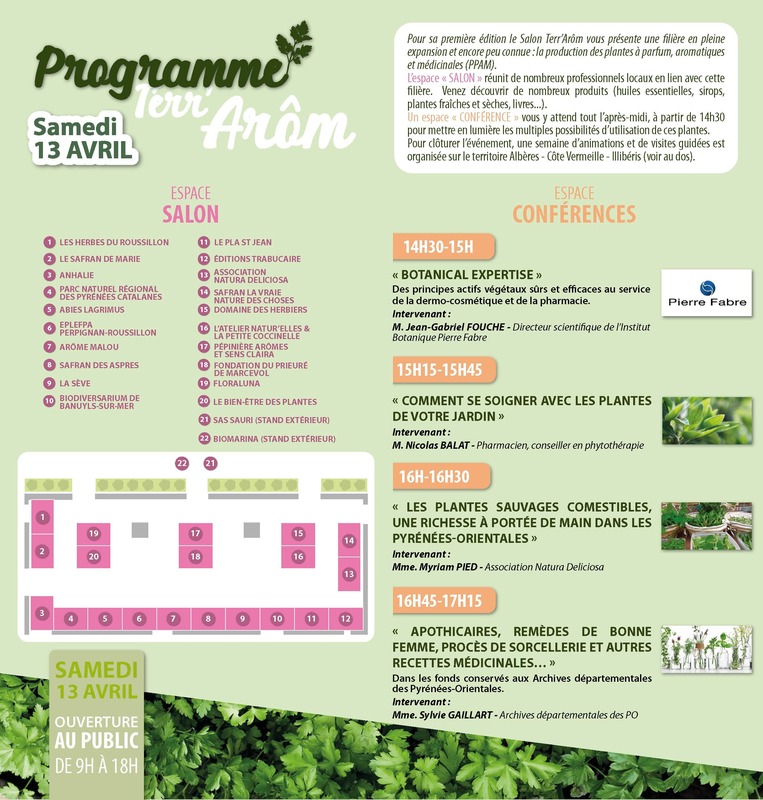 After the event itself, a “Terr’Ârom” week will continue until the 19th April, with guided tours organised by the office de tourisme intercommunal Pyrénées-Méditerranée. Every day, an outing to a village will allow you to discover the richness of the Albères-Côte Vermeille-Illibéris territory in terms of perfumed, aromatic and medicinal plants.